Overseas investors are buying an increasing amount of yuan-denominated bonds despite fluctuations in the yuan in recent months, and experts said it shows that overseas investors have confidence both in the yuan and in China’s economic prospects. 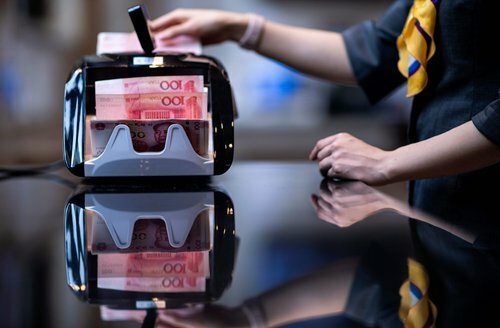 Foreign investors’ trusteeship of yuan-denominated bonds at China Central Depository & Clearing Co reached 1.41 trillion yuan ($206 billion) by the end of August, up by 44.96 percent compared with the end of last year, according to data published by China Central Depository & Clearing on its official website on Tuesday. The increase in investment comes at a time when the yuan has been under pressure. In 2018, the yuan has depreciated by about 4.8 percent against the US dollar, based on data from the People’s Bank of China, China’s central bank. Normally, yuan bond yields would decrease in a yuan depreciation cycle, but it appears this has not deterred investors. “Overseas investors’ buying of bonds at this time shows that they still have confidence in the yuan’s stability in the long term, and that the yuan is of investment value to them as a non-dollar currency,” Xi Junyang, a finance professor at the Shanghai University of Finance and Economics, told the Global Times on Thursday. His view was echoed by Liu Xuezhi, senior analyst at Bank of Communications, who argued that compared with some vulnerable currencies in emerging markets, yuan assets are relatively safe for overseas investors. “The Chinese economy is facing some turbulence now, mainly because of the trade tension with the US, but that has not, and will not affect the capital market too much,” Liu told the Global Times on Thursday. Xi also said that despite the yuan’s depreciation, the yuan-denominated bonds’ yield rates are still generally much higher than the yields of overseas currency bonds, arising from the generally high interest rate levels in China, and this is of great appeal to overseas investors. Data from chinabond.com showed that most yuan bonds’ one-year yield rates stand at about 4 or 5 percent. In comparison, the 10-year yield of Japanese government bonds is only about 0.09 percent, according to data from a Reuters report in July. “The Chinese government’s relatively tight monetary supply and supervision of liquidity have also pushed up the interest rate level,” Xi told the Global Times. According to Xi, the government’s push for opening-up of the financial market is also a major stimulus. On August 30, the government cut the company tax and value-added tax on overseas investors’ proceeds from their investment in the onshore bond market. “The pace of opening-up in the bond market is faster than in other financial markets like the stock market. Now there are almost no restrictions on overseas investors for yuan-denominated bonds,” Xi said, adding that the government is much stricter about overseas investors’ issuance of bonds in the mainland. Apart from bond investment, overseas capital is also flowing into the domestic stock market. Data sent by UBS Securities to the Global Times on Thursday showed that northbound capital reached 1.17 billion yuan via the stock link programs in the past two weeks, compared with the 290 million yuan in southbound investment. “In general, with the yuan’s internationalization, overseas investors’ need for yuan assets is increasing,” Xi said.